Over the course of this semester, I have been keeping two blogs. One for this class, and another for my Emergent Media class. Posting three blogs a week has allowed me to enhance my writing skills and learn so much. I have kept up with current events, especially relating to the media, in order to write informed blogs each week. I have also learned so much more than I would have if I wasn’t updating a blog. It has required me to pay attention and search for details. I am also grateful for the WordPress skills that I have gained. I believe that I will be able to use these skills for the rest of my career. Blogging is fun and a great way to post thoughts and opinions for others to read. 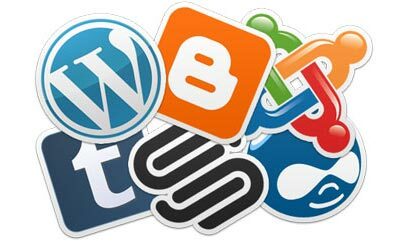 Linking my blog to social media sites like Facebook and Twitter have helped to promote my blog and allow my blog to gain more readers. I believe that those two sites are the best ways to gain viewers. Looking back, I wish that I had added tags to my blog posts in order to make them more accessible to others on WordPress. This was something I should have done from the beginning, but only realized I could do towards the end of the semester. In the future, I will be more successful with my use of tags. Learning how to use WordPress and how to customize a blog have been great skills to practice, along with my writing skills. It is a great way to learn and grow individually as a student. I really do think these 15 weeks of blog updates have helped me improve as a student and blogging is something that I hope to continue doing in the future. Blogs are a great way to connect with individuals who have similar interests and a great way to learn new things. Donald Sterling, owner of the Los Angeles Clippers NBA team, has been quite a hot topic in the media this past week. TMZ released a recording of Sterling having a conversation with his girlfriend and throughout this conversation, Sterling speaks negatively about African Americans and tells his girlfriend that he does not want black people at his games. He says, “It bothers me a lot that you want to broadcast that you are associating with black people. Do you have to?” This is not the first incident of racist comments made by Sterling. Many people have taken to Twitter to express their feelings about Sterling’s comments. The Clippers had a game against the Golden State Warriors on April 27th, just days after this incident came out. Rather than boycott the game, the Clippers wore their warm-up shirts inside out to protest Sterling and the team logo. 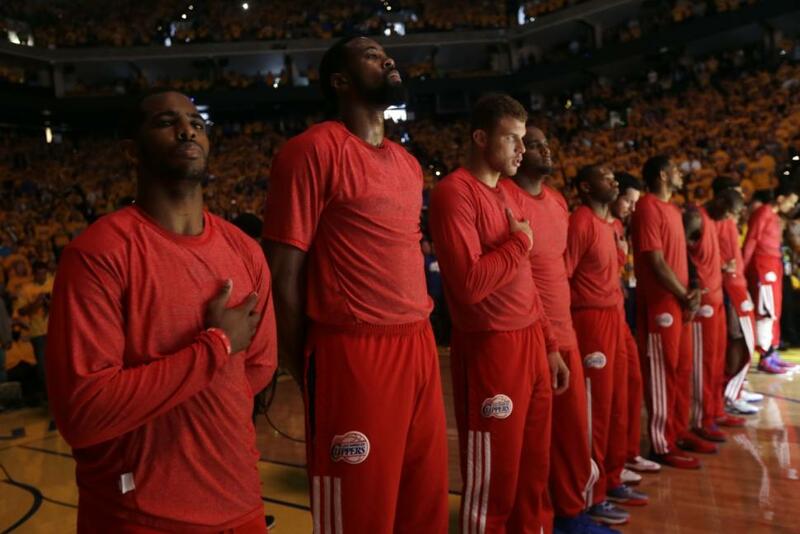 The next day, Miami Heat players did the same in their game to show support for the Clippers. On Tuesday, April 29th, NBA Commissioner Adam Silver announced that Sterling would be banned for life from the NBA and fined $2.5 million for his actions, which is the maximum fine you can receive. He also said that he will be encouraged to sell the Clippers. Since this announcement, I have seen some people comment saying that it is a violation of his first amendment rights. However, that is incorrect. No one is taking away Donald Sterling’s right to speak, they are simply removing his platform that allows him to be heard. Racism is something that should not be tolerated anywhere today, let alone in such a high-profile organization like the NBA. I absolutely believe that Silver made the right decision. A team owner should have respect for his players and his coaches, and Sterling clearly had none. Someone with his views and opinions should not be in such a high position of power. I cannot imagine how the African Americans who play for the Clippers must have felt hearing what Sterling had to say. For their sake, I hope Sterling sells the team to someone who gives them the respect they deserve. The New York Times released a new study today that shows where baseball fans in the United States are found. How did they collect the information for this article? Facebook. Millions of fans across the country have made their sports team preferences readily available on their Facebook profiles. 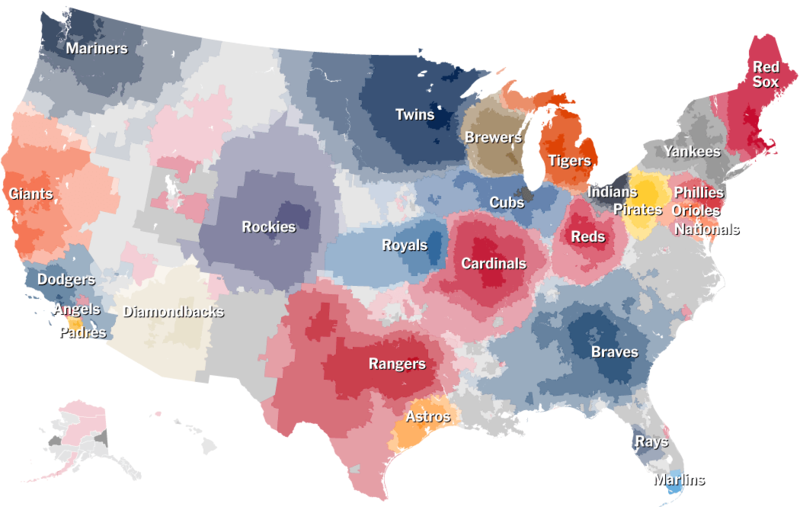 This map illustrates where fans of baseball teams are most commonly found. It allows you interact and search by county and zip code so you can get specific. This way, borders of rival teams like the Yankees and the Red Sox can be clearly defined. This new article shows how Facebook and the information we share via social media can seem insignificant and just for fun, but can actually prove very accurate for findings like this. Often we do not think twice about what we post on our profiles, but that information can be gathered and used as data. They created this map based off of how many Facebook users “liked” each team within a zip code. Like all data, this could be flawed. For example, I’m sure there are people who support a certain team that do not have Facebook or do not “like” their teams page on Facebook. Regardless, it is an interesting way to put data from Facebook onto a real life application. The article stated that this kind of information allows us to “determine the precise Chicago neighborhoods where White Sox jerseys stop being welcome” and other important boundaries for baseball fans. You can search for your zip code on the interactive map. WikiLeaks is a non-profit journalistic organization that posts secret information and classified media for public view. WikiLeaks was founded in 2006 and in its first year of operation, more than 1.2 million documents were submitted anonymously to the site. 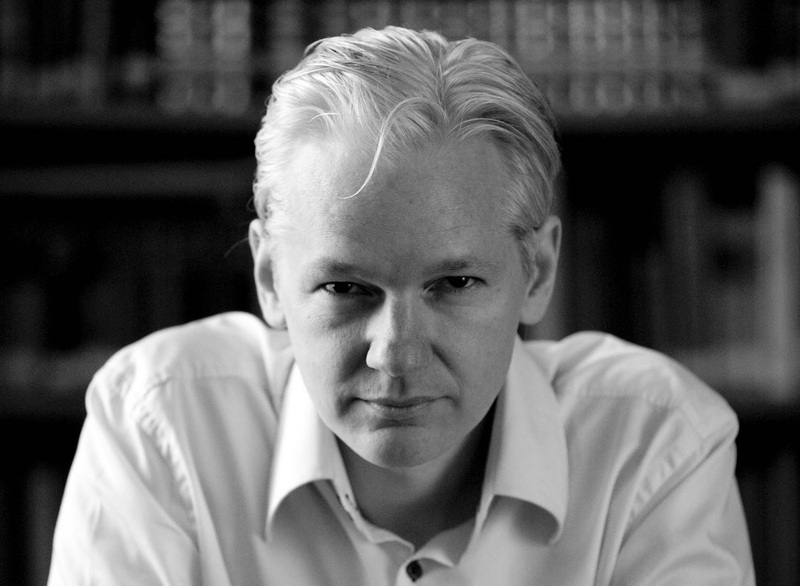 Julian Assange is the founder of WikiLeaks. Their website claims that their goal is to inform the public of important news and they “publish original material alongside [their] news stories so readers and historians alike can see evidence of the truth.” This website and its content have been compared to the historical Pentagon Papers from the 70s. WikiLeaks has published several stories that have become front page news. In July 2010, the released the Afghan War Diary which is a compilation of over 76,900 documents that the public had never seen before regarded the Afghanistan War. In April of the following year, they released almost 800 files regarding the Guantanamo Bay detention camp. In 2012, they began to publish the Syria Files which consisted of more than two million emails between Syrian political figures and associated companies from 2006-2012. In October of 2012, they published the Detainee Policies. These were more than 100 restricted files from the US Department of Defense outlining the rules and procedures for detainees in US military custody. The mass amounts of information that WikiLeaks releases on a daily basis is enough to bother any smart American citizen. There is much debate when it comes to WikiLeaks. Some believe that it is an outright violation of privacy and that it is anti-American to support them. Others believe that we have a right to know certain information. I am not sure where I stand on WikiLeaks but I do know that it is so important to be wary of the media and all the things that they leave out when we believe that we have the full story. There is almost always some sort of information that we as the public are unaware of. 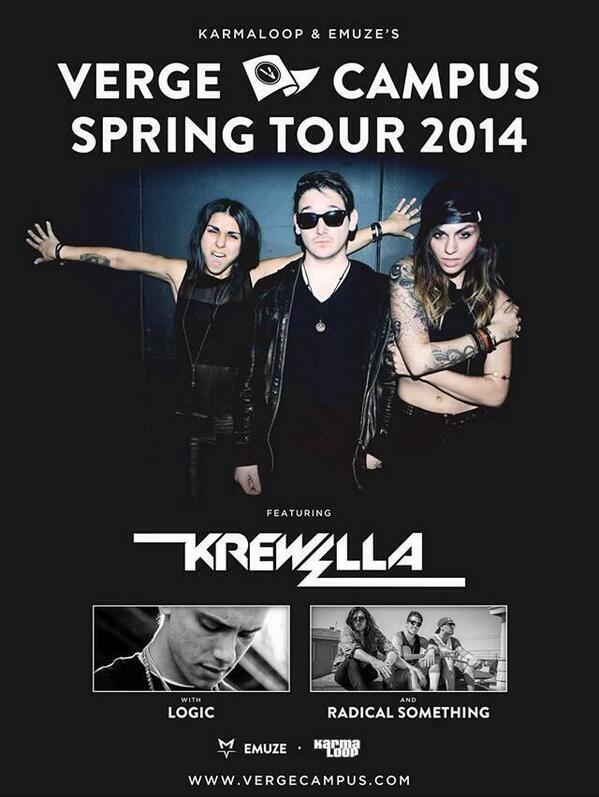 Bloomsburg University students are buzzing with excitement today thanks to Krewella, a popular EDM trio, will be performing at Bloomsburg’s Nelson Field House this evening. Many students are a fan of this increasingly popular “electronic dance music” style that has swept the nation. As part of the Verge Campus Tour, Krewella will have two opening acts: a rapper, Logic, and an independent acoustic trio, Radical Something. Social media has been a huge part of this event since the tour was announced in February. On the evening the concert was announced, Bloomsburg University Concert Committee told their Twitter and Facebook followers to retweet and like their post, respectively. A winner was randomly selected from both Twitter and Facebook and they won two free tickets. Ticket sales were also promoted on Facebook and Twitter. Then, another contest was announced. The Verge Campus Tour was giving the opportunity for a local DJ from Bloomsburg to open up for all of the acts the night of the concert. DJs were told to submit their mixes and then the public could vote. Ultimately, the decision came down to members of BU’s Concert Committee and employees from the Verge Campus Tour. The winner was announced yesterday–DJ Kaz who DJ’s frequently at Bloomsburg’s hotspot Hardware Bar. He is well known among students and very excited to open for such a large act like Krewella. Now that it is officially the night of the concert, Concert Committee has taken to Twitter to announce another contest. Concert goers can Tweet or Instagram their best pictures from the concert tonight using the hashtag #KrewellaBU and be entered to win a signed poster from the artists. Enjoy the show, and don’t forget to submit your pictures!! 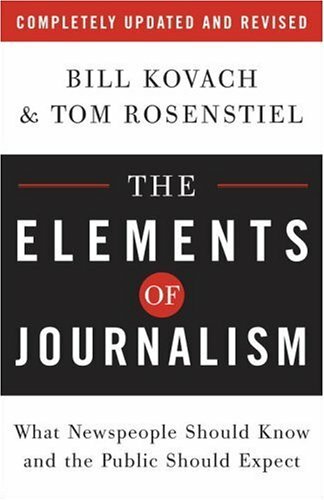 Tom Rosenstiel and Bill Kovach are co-authors of the book The Elements of Journalism: What Newspeople Should Know and the Public Should Expect. In this popular journalism reference guide, they have listed 10 essential principles and practices of journalism. Journalism’s first obligation is to the truth – Journalists must always pursue the truth above all else. It is very important that journalists always find the facts and double check them in order to be reliable to their audiences. Today there are more sources to get information from than ever before, so it is critically important for producers of news to be credible sources. Its first loyalty is to citizens – A journalist must always be loyal to its readers. Public interest and the truth must always come before their own personal opinions. Earning the trust of your readers is very important in being a good journalist. Its essence is a discipline of verification – This discipline is what separates journalism from other forms of communication like propaganda, advertising, fiction and entertainment. Journalists have different methods they use to assess and test information to make sure they get the story right. Its practitioners must maintain an independence from those they cover – Journalistic independence is not neutrality, but avoiding arrogance, elitism, isolation or nihilism. Independence means not being seduced by sources, intimidated by power, or compromised by self-interest. It must serve as an independent monitor of power – Journalism can serve as a watchdog for those whose power and position affect citizens the most, and offers a voice to the voiceless. It must provide a forum for public criticism and compromise – Journalism is more than just providing an outlet for discussion. It has the responsibility to improve the quality of the debate with verified information. Journalism should attempt to fairly represent varied viewpoints in society. It must strive to keep the significant interesting and relevant – Although we have stressed the importance of facts, journalism has a responsibility to keep the facts interesting. Journalists need to prove information in a way that will make people inclined to listen. It must keep the news comprehensive and proportional – Journalism creates a map for citizens to navigate society. In order for this to be successful, journalists must take into advantage multiple perspectives and diverse backgrounds. Its practitioners must be allowed to exercise their personal conscience – Working as a journalist involves a strong moral compass and demands that you have a sense of ethics and responsibility. Citizens, too, have rights and responsibilities when it comes to the news – In today’s world, any average citizen can act as a journalist. Everyone with a Twitter account has the power to affect the media and spread the news. Therefore, all citizens have the same responsibilities as journalists. Yesterday morning, I was scrolling through my Twitter feed and learned of a horrible tragedy that struck a high school near Pittsburgh. 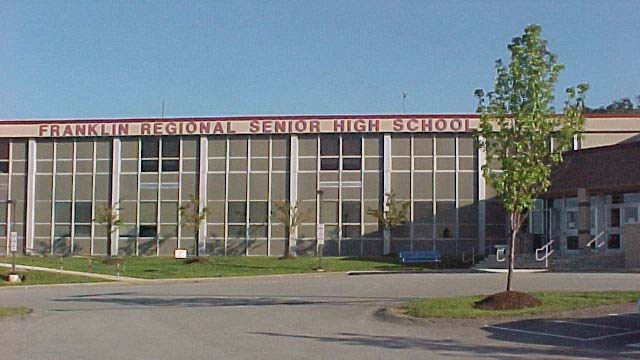 Around 7am at Franklin Regional High School, a student took two knives and begun stabbing his fellow classmates. This attack left 22 people injured, five of them critical. One student’s liver was pierced and another got slashed in the face, a wound requiring 11 stitches, while trying to prevent the attacker from stabbing a fellow student. Another student is being hailed as a hero in the media–after he was stabbed, he pulled the fire alarm to try to get as many people out of harms way as possible. The assistant principle tackled the attacker in order to prevent him from harming any more students. The 16-year-old suspect was charged with four counts of attempted homicide and 21 counts of aggravated assault and will be tried as an adult. He is currently jailed without bail. Students said that during the attack, the boy had a blank expression on his face. Not anger, not sadness, just blank. They said that he was a quiet boy but they had no reason to believe he would ever be violent, students say they never saw anyone be mean to him. In these situations, we are always left wondering why someone would commit such a senseless act against his fellow students. Immediately after this senseless crime was committed, students took to Twitter to express their feelings. A hashtag, #PrayforFR, immediately began trending. Students are mostly shocked, saying that they can’t believe something like this would happen at their school. Others are sharing words of encouragement for those who have been wounded. Some are telling the stories of their fellow classmates who behaved as heroes, staying behind to help others or defending fellow classmates. Read some students tweets here. The use of social media in these situations is prevalent. Students feel less alone when they can share their thoughts and feelings with others in their situations. Plus, news spreads much faster and the immediacy of the tweets outlining yesterdays events probably kept several students away from the danger. I made this blog for an Online Journalism course I am taking while in school. This blog will be used to discuss important media events in history and also the way the media and technology have advanced and affect us in our lives today. Thanks for visiting my blog!